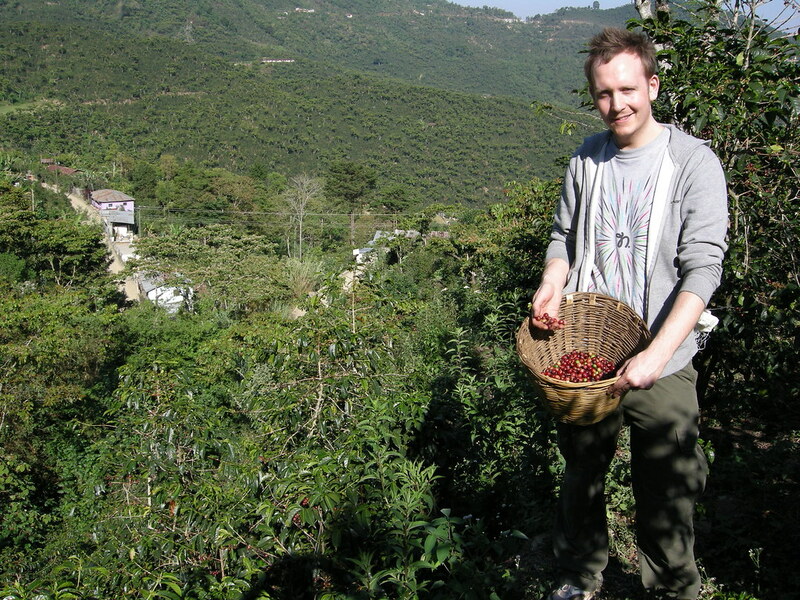 On the last day at FVH we got to go picking coffee! We strapped on our baskets early in the morning, when it was still a bit cool. First though, we needed coffee. 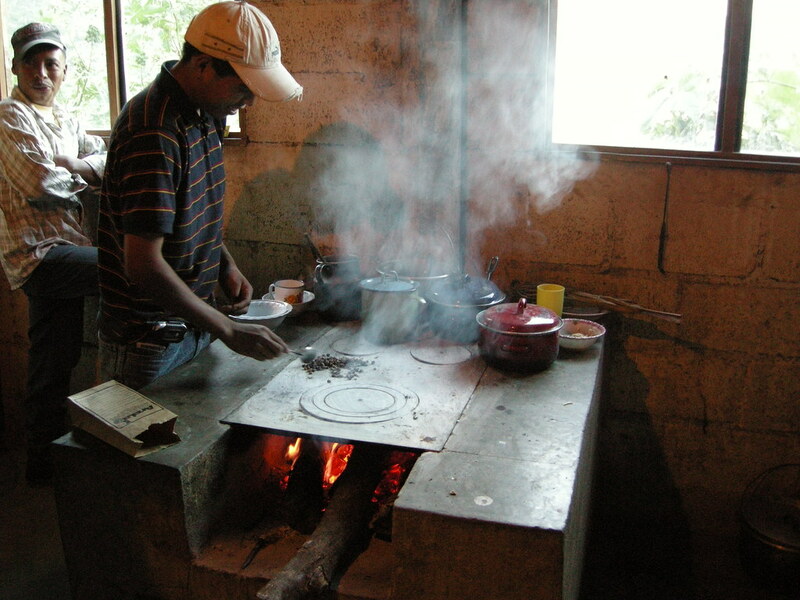 One of the farm workers, Diego, invited us to his house, where he first roasted, hen ground and finally brewed coffee the way he usually drinks it; “Apagado”. How terrific to taste coffee this way! Picking cherries is hard work, as I think each of us learned. We were lucky to do the last pick, where all cherries needs to come off the tree, so there’s nothing left after the harvest. We were still instructed to do selective picking. Edwin did not want to see any ‘stripping’ – where you simple pull your fingers down the branch to take everything off, including leaves and small buds – as it damages the tree significantly. Selective picking requires fast finger-work and getting on your knees to get the lower branches. Picking only the ripest cherries and doing so carefully is one of the main factors in producing a sweet and aromatic cup quality, and we all left the picking with a huge appreciation of the work of the pickers. After breakfast we loaded the cars and got ready to drive back to Huehuetenango. It was a last goodbye to the farm and the last opportunity to snap some photos as the coffee was drying on the patio. 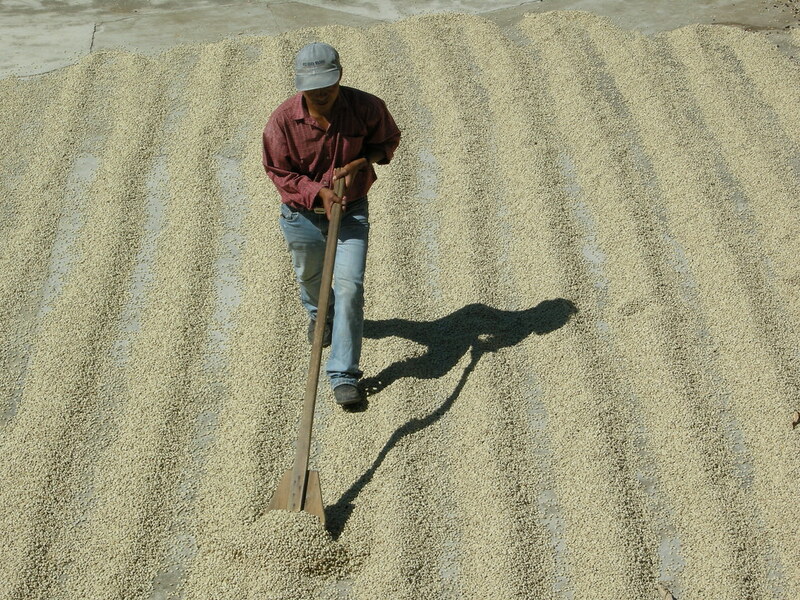 In Huehuetenango we visited the dry mill, COFECO, that FVH uses for some of their coffees. The lot that we at the Collective received were actually drymilled at a different mill, but the mill is very similar. The coffee arrives by truck and gets weighed. Then large foreign objects, bullets, nails, stones, twigs and so forth are removed. Next the coffee is hulled (the parchment is removed) before it’s sorted first by screen size and then by density on Oliver tables. The coffee next goes through an ‘electronic eye’ sorting machine for defects. It’s incredible to see how fast the coffee moves through this machine, which sort out defects by color variation. 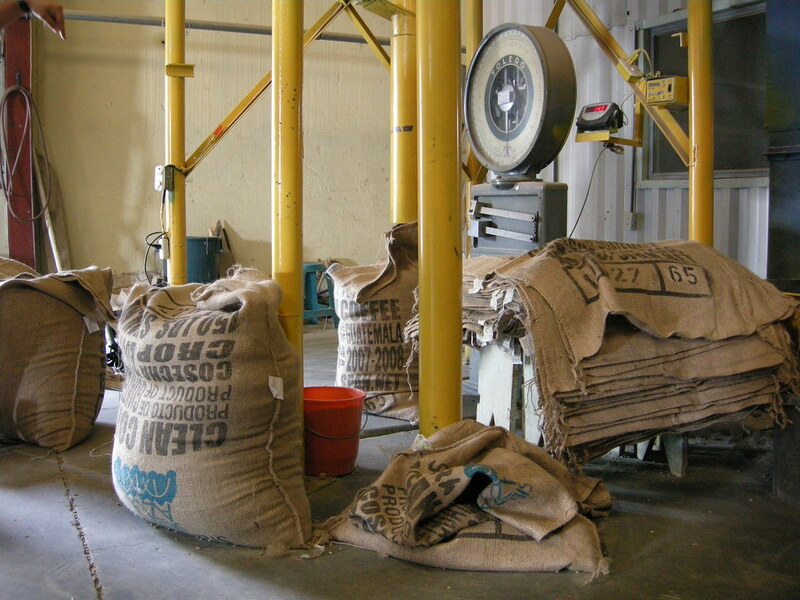 Lastly the coffee is packed on jute bags and is then ready for export. Each bags has a series of numbers printed on indicating origin country, exporter license number and lot number. A lot can be anything from several full containers to a micro-lot of 5 bags for someone like The Coffee Collective. In the late afternoon we went to see the Mayen ruins of “Zaculeu”. A very beautiful place where it’s told soccer originated. 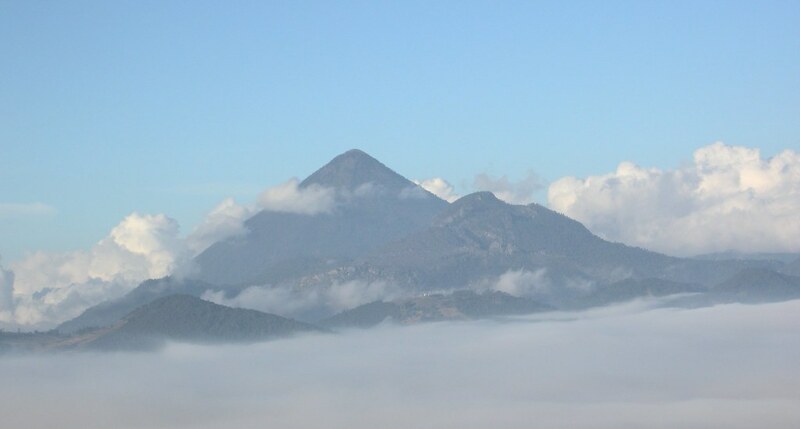 The last day in Guatemala we drove to Antigua and visited a very nice farm named Filadelfia. This place is unlike most coffee farms. It’s a very big farm (actually consisting of several farms) with a lot of money obviously. The have a hotel, restaurant and gift shop in conjunction with the farm. We got a guided tour of the estate, which has its own wet and dry mill, roastery and cupping room. I even saw a Audio & Visual Room sign, which I doubt you’ll find on many farms. It was really cool to see, though, and it was nice of them to take such good care of us. From there it was quick goodbyes to the whole group and on to the airport. I could easily have spend several days more in Antigua. The view to the volcanoes and the old, historic buildings in the town were extremely beautiful. But I had definitely had a lot of beautiful sights already (“Vista Hermosa” means “Beautiful View”) and lots of impressions to think about for the coming days. The trip to Finca Vista Hermosa have definitely left me assured that the Direct Trade model is the right way for us to continue working. They have no certifications, but there are many things you simply cannot measure. When Edwin talks about the people they employ and about the families that live in the area, it tells me far more about their social responsibility than any certification could ever do. We’re extremely happy to be buying from FVH and look forward to continue the relationship for years to come. This was the last part of three. Etiketter: FVH "Finca Vista Hermosa" Guatemala "Origin Trip"
Thanks for putting this together, Klaus. It's very interesting and informative to read. Did you find any new coffees that we will see in the Collective's selection in the future? My pleasure. I hope the it's not too long. Are you (TCC) in fact only buying about 5 bags from FVH? No, we're bying more than that from FVH. I think FVH is already shipping something to Australia so perhaps there's a possibility to do some co-shipping. Good luck. I personally know Edwin, and I can tell you that coffee farming is only his second job, not his first. He does it because he loves his country and the farm gives jobs to the people in the village of Agua Dulce. 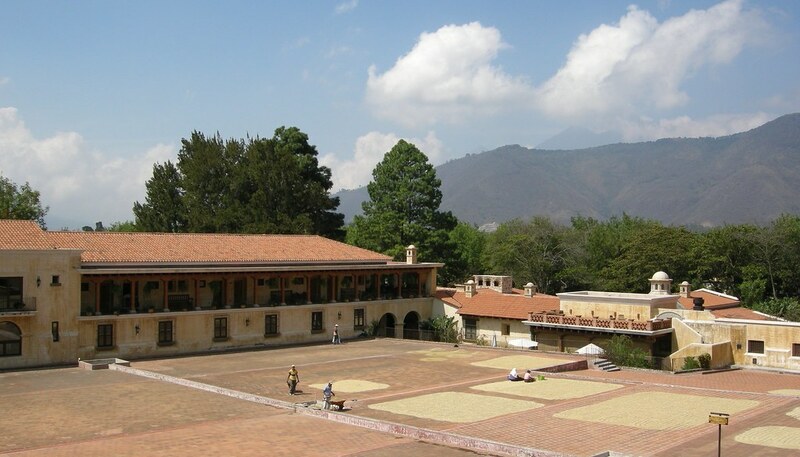 You are definitely in the right place buying coffee from Finca Vista. I am Mohamed Almagory form Tripoli Libya Looking to do business with good export good coffee.